CHARLOTTE, N.C., January 16, 2018	(Newswire.com) - Nautic Alert just unveiled one of the most technologically-advanced marine monitoring, tracking, safety and security system designed specifically for yachts, and now has some really exciting news for commercial fisherman. Nautic Alert will be releasing a VMS type-approved Insight which will not only bring NOAA tracking to fisherman, but also unmatched security and safety protection with the industry’s first SMART bilge controller, microwave and radar-based intrusion detection, and man-overboard with global emergency monitoring. Nautic Alert is an EDGE-based system with onboard learning intelligence designed to provide early detection of critical systems. 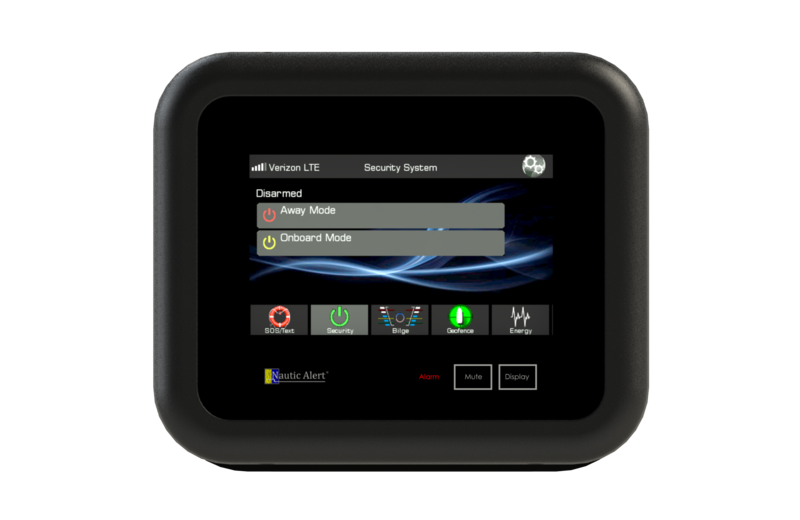 Nautic Alert Insight features seamless over-the-air updates for its integrated VMS forms on a compact, lightweight MFD, with no external tablets required. Next-gen aviation-grade GPS technology enables Nautic Alert to filter out weather-related glitches in reported positions that exceed CFR accuracy requirements, as well as obtain position accurate within inches using WAAS technology. Nautic Alert even logs this position accuracy information in the event any questions should arise, better protecting fishermen from position reporting inaccuracies, and keeping law-enforcement at bay. Nautic Alert’s cloud architecture includes multi-site cloud-based redundancy with auto-failover, so even when an unexpected widespread communications outage occurs, position reports are automatically routed to a backup data center. Additionally, the low-orbiting Iridium network is used in combination with device transmission retries to ensure that all satellite transmissions get through quickly and efficiently with low-profile miniature external antennas, all designed to keep fisherman productive and focused on what matters to them most. X2 keeps fishermen connected to next-gen satellite-based emergency monitoring, complete with 2-way search-and-rescue messaging, global texting, and a personal emergency alarm that can trigger a response from the push of a button. Multiple wireless man-overboard transmitters can be used to alert the captain through Insight’s 95dB siren, or crew onboard with its wireless siren sync network. An emergency event can even automatically notify search-and-rescue as well as friends and family. Texting includes global cellular texting and private messaging with other Nautic Alert Insight devices. Fishermen endure some rough conditions, and Nautic Alert’s Nevata bilge controller delivers a visual representation of water-level measurements onboard and remotely, and can even function as a controller for bilge discharge, and log all bilge activities to the cloud. Nevata enables unrivaled bilge protection with its optional SMART drive technology that can auto-switch pumps when bilge equipment failure occurs, and provide early detection of bilge issues well in advance of a high-water alert and if high-water occurs. Fishing boats and equipment can be costly, so Nautic Alert’s microwave-based motion detection can be used to detect an intruder before they make entry with its 3-layer approach, for inside or out. X2 packs marine-grade protection that overcomes environmental factors that make traditional PIR (passive-infrared) sensors unreliable due to external dock movement and wind drafts, and includes adjustable distance detection settings necessary for serious yacht security. Nautic Alert is currently undergoing VMS testing in certain U.S. fisheries regions, and is looking for volunteers. Commercial fisherman with registered fishing vessels interested in obtaining a free system they can keep after testing should contact Nautic Alert (restrictions may apply). For more information, see www.nauticalert.com.